When New England Patriots quarterback Tom Brady needs a break from bickering with the NFL, he goes to the gaudiest hotel on planet Earth to sleep on a specialty mattress that will never deflate. At least, that's the scenario laid out in this spot for Simmons Bedding, whose "Dream in Black" campaign focuses on the Beautyrest Black model. KBS is handling the campaign, and has a slew of TV and digital ads planned, with Brady as the centerpiece. The ad itself is just ridiculous enough to be fun, and the image of Brady sleeping on a bare mattress in an empty hotel room is poetic in its own way. 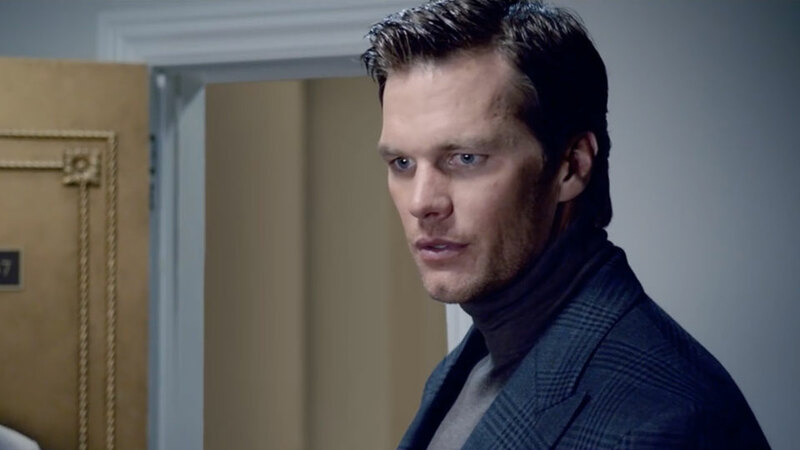 Asked why they picked Brady, KBS executive creative director Jon Goldberg said "consumers would trust Tom Brady's discerning standards for luxury." Simmons' vp of Marketing Jeff Willard did him one better, claiming that Brady is "someone who is committed to the ultimate in quality, performance and style." These might be the nicest things anyone outside New England has ever said about him.